Apple has quietly tightened the rules governing its App Store to close a loophole that allowed software developers to harvest data about your friends and sell it for profit. The change is designed to stop third-party developers from building databases of information on the people in your address book. 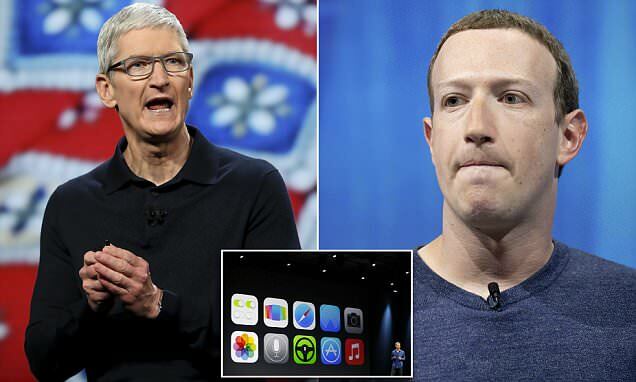 Apple silently pushed-out the change to the App Store after CEO Tim Cook publicly criticised Facebook for its handling of users’ data in the wake of the Cambridge Analytica scandal. Cook said that Facebook was ‘beyond’ the point where it could be trusted to self-regulate. The update to the App Store Review Guidelines were first spotted by Bloomberg. Until now, third-party applications only had to seek your permission once to gain access to the information stored in the address book on your phone. This data is used by developers for a number of legitimate reasons, for example, highlighting people from your contacts who have a profile on a social network you may have just joined. Under the old rules, as soon as you allow a developer to access the information in your address book, you no longer had any control over how that data was used. According to Bloomberg, some developers used this data for marketing, while others sold the valuable contact information for profit. Under the new rules, developers will be banned for selling these databases entirely. Apps will also have to spell-out exactly how they intend to use your data. If developers want to use the data already gathered from your smartphone for something not originally listed when you granted permission – for example, a new feature included in a recent update to the app – the app makers will need to seek your permission again. The change should stop any data misuse from developers in the App Store.